Lori Gam and Marc Benjamin from Theatrix. Ben Bliss from Toy Networx. Renata Makky and Ben Randall from Plum Products. Peter O'Brien from New Dimension. Mark Rosser and Anton Gutsche from VR Distribution. Richard Lloyd from Squatter - Australia's Classic Game. George Khoury and Con Kaletsis from Funrise. Andrew Lee from Crown & Andrews/Goliath. Sarah Thomas and Martyn Fooks from Keycraft. Luc Marin from Eureka Concepts. Gabby Anderson and Alice Sanderson from the ATA. Coming back for a second time around, the ATA's Mid-Year Preview found itself at Rydges Parramatta this year. Spread across the ballroom, mezzanine and boardrooms, 28 exhibitors showcased new products and existing favourites to 150 retailer registrants. 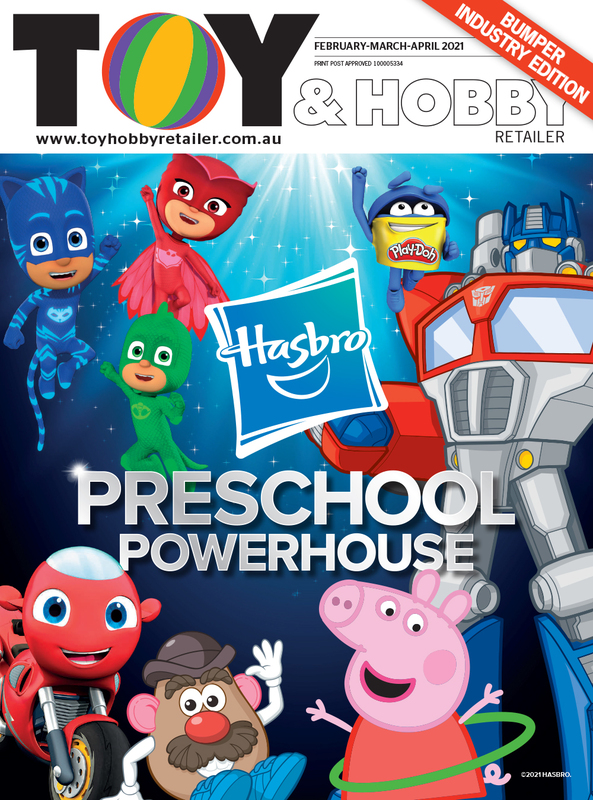 The Preview gave exhibitors an opportunity to provide retailers and buyers with special offers for Christmas and highlight the playthings that weren't available at the Melbourne Toy Fair in March. Funrise's George Khoury was excited about the new Sunny Bunnies range of toy vehicles, while also displaying classic brands Gazillion and Tonka. “Overall the show proved to be very successful in both quality of customers as well as the number of people through in the two days. It was also a chance to catch up socially in a convenient location. We’ll be back next year! Congrats to the ATA for organising,” Khoury said. Peter O'Brien of New Dimension highlighted the Chalk & Chuckles games – which are specifically designed with special needs children in mind – that aim to teach kids about emotional expression and recognition, confidence and problem solving. Pink Poppy's stand featured glitter, unicorns and all things pink and girly, while next door at Smarter Puzzles, all colours were out to play on the intricate and detailed puzzle cubes and triangles. Adult games featuring tongue in cheek humour were popular amongst the exhibitors with the likes of U Games, Goliath Games and VR Distribution hosting titles like Stupid Deaths, Truth Bombs and Battle of the Bogans. 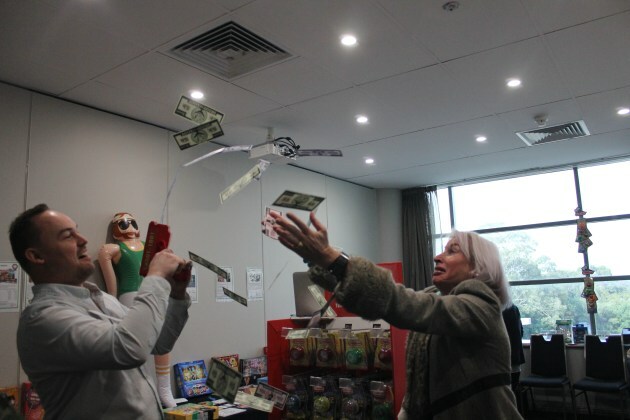 Toy & Hobby Retailer was also treated to a game-show style “money” grab opportunity in the VR Distribution room. The Shoot the Loot gun was unloaded in to the air, our hands flapping about to grab some “cash” – unfortunately we didn't come away with much. On the mezzanine, Toy Networx's Ben Bliss showcased a new in-house developed product line called Creative Sprouts, a range which is centred around growing plants and decorating the pots. The line features different seeds to grow, from pansies for the Mystical Fairy Garden to lettuce for the Farmers Garden. iWorld's Talin Danielian was excited about the Kano STEM range, which gets kids building their own mini-computer, while next door Luc Marin of Eureka Concepts had the Ezy Roller carts on display. 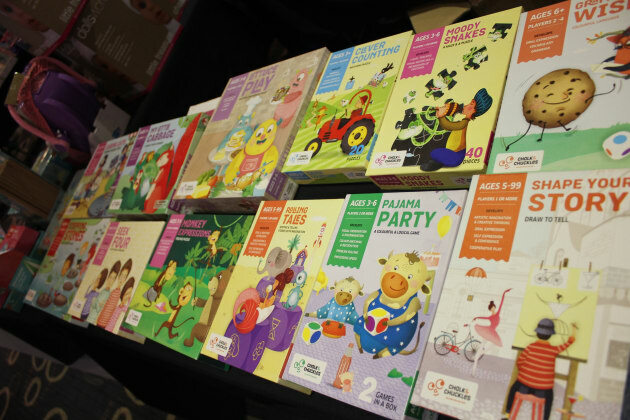 Licensed properties were also on display throughout the Preview, with LOL Surprise, PJ Masks, Peppa Pig, Hey Duggee and The Wiggles cropping up on the Headstart International, Jasnor, Big Balloon, MJM Imports, Winning Moves and Hunter Products' stands. Zimbler were pleased to show off the Laser Pegs Monster Rally range – a line which is an alternative take on Lego. The range is interactive, with light and sound elements to bring the constructions to life. At Theatrix's stand, Marc Benjamin gave Toy & Hobby Retailer a look into many new AR apps that are complemented by a real-world plaything. 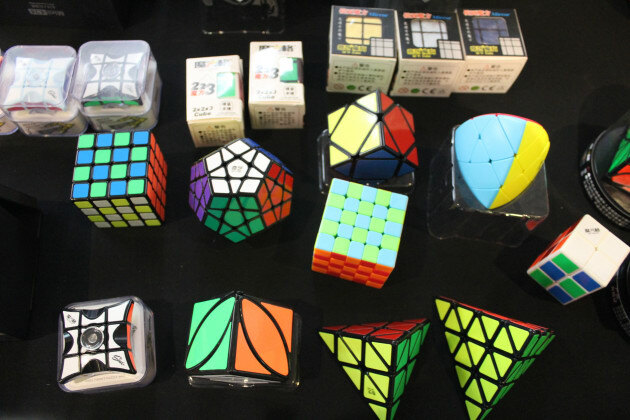 Keycraft commented that the Nurchums Hatch Egg range was doing well for them, while Toy Revolution was pleased to showcase the Giromag range, as well as the levitating globe and UFO products. The first evening of the show was completed with a quiet drink, supported by the ATA. Thursday morning saw some bleary-eyed exhibitors attend the NPD Group presentation and breakfast. NPD gave attendants a brief insight into the current trends and climate of the industry, supported by data and statistics. The show concluded on Thursday afternoon with many of the exhibitors feeling that it exceeded their expectations and was a good opportunity to present products in a relaxed environment. 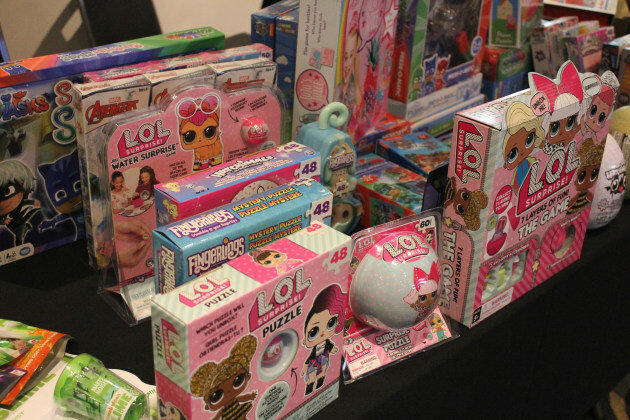 “[The Mid-Year Toy Preview's] success indicates it is wanted and needed by suppliers and retailers alike,” Andrew Skinner, ATA president said. The Mid-Year Preview will return in June 2019. Scroll through the gallery above to check out the happy snaps Toy & Hobby Retailer took at the event.